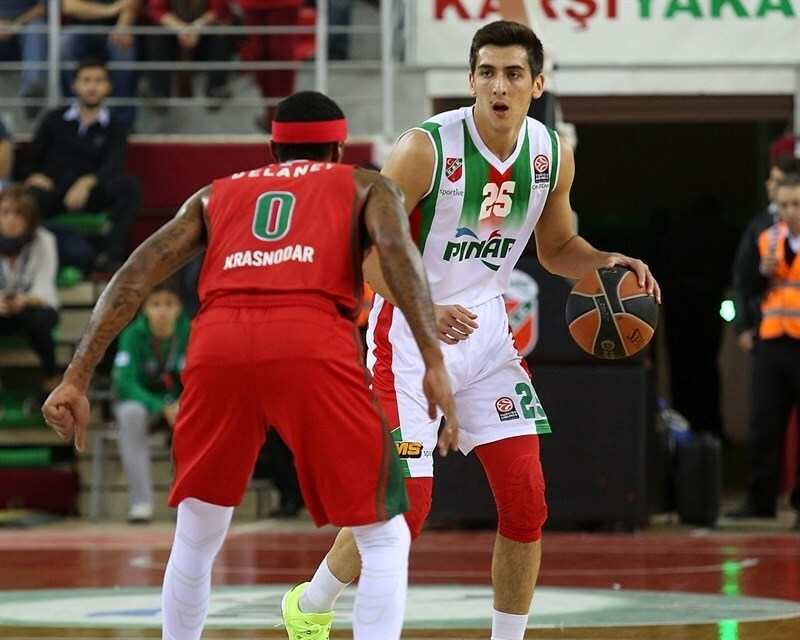 Lokomotiv Kuban Krasnodar set up a do-or-die showdown for first place in Group C next week by downing Pinar Karsiyaka Izmir 78-88 on the road on Thursday. 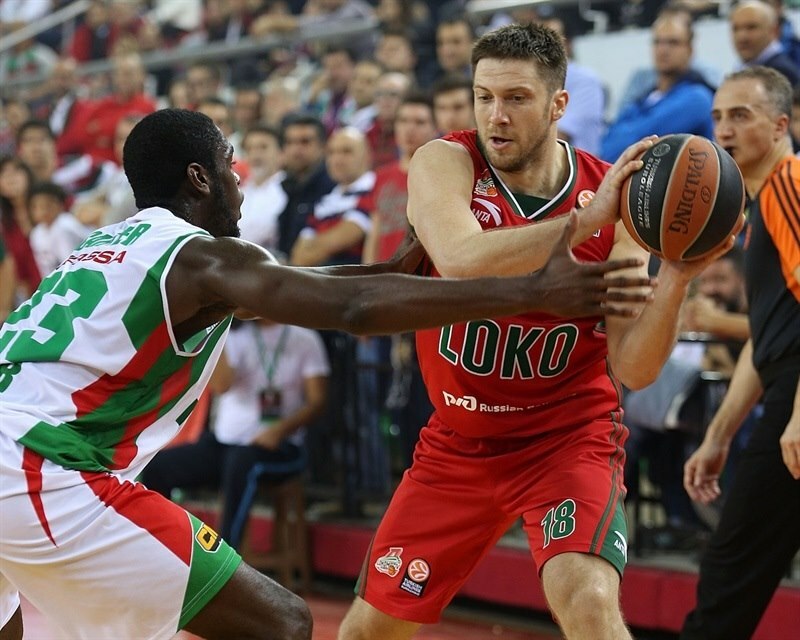 Already-qualified Lokomotiv improved to 7-2 in Group C and faces FC Barcelona Lassa next week in a direct battle for first place. Karsiyaka, which had run out of chances to advance last week, dropped to 2-7. 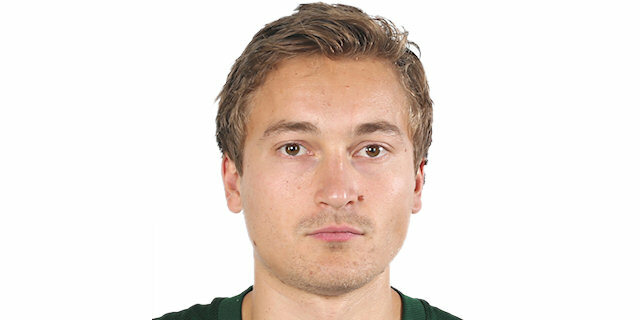 Ryan Broekhoff paced the winners with 26 points on 7-of-10 three-point shots – both set club records for Lokomotiv in the competition. Kyrylo Fesenko added 17 points, Evgeny Voronov scored 14, Chris Singleton 11 while Malcolm Delaney dished 11 assists for Lokomotiv. 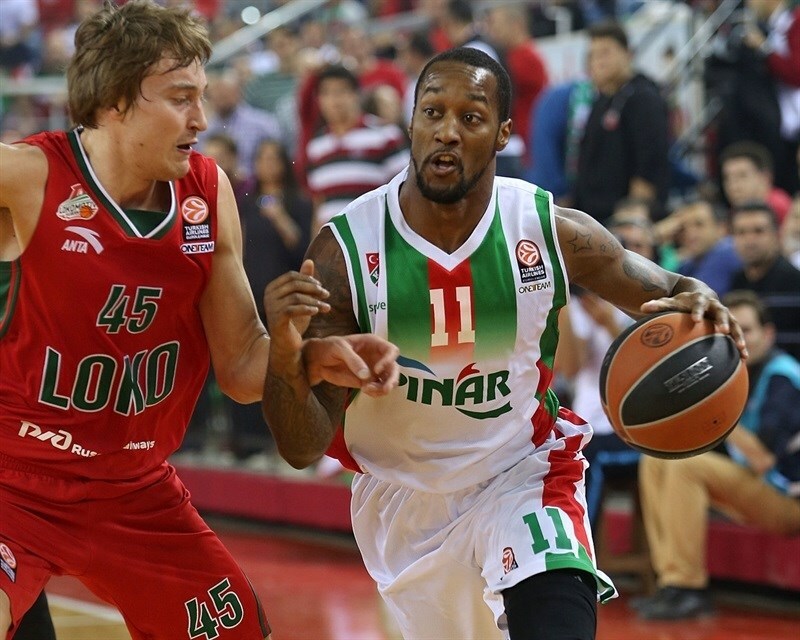 Justin Carter led Karsiyaka with 25 points, Kenny Gabriel added 15 while Josh Carter had 13 for the hosts. Juan Palacios led a 6-0 opening run, but Victor Claver and Broekhoff soon gave Lokomotiv its first lead at 8-10. A three-pointer by Delaney soon made it a double-digit game, 10-20. Three-pointers by Josh Carter, Justin Carter and Gabriel kept Karsiyaka within 22-27 after 10 minutes. Kerem Gonlum also hit one from downtown to bring the hosts as close as 39-40, but an outstanding Singleton helped Lokomotiv to extend its margin to 43-50 at halftime. Voronov and Fesenko fueled a 0-13 run that broke the game open, 48-64, midway through the third quarter. 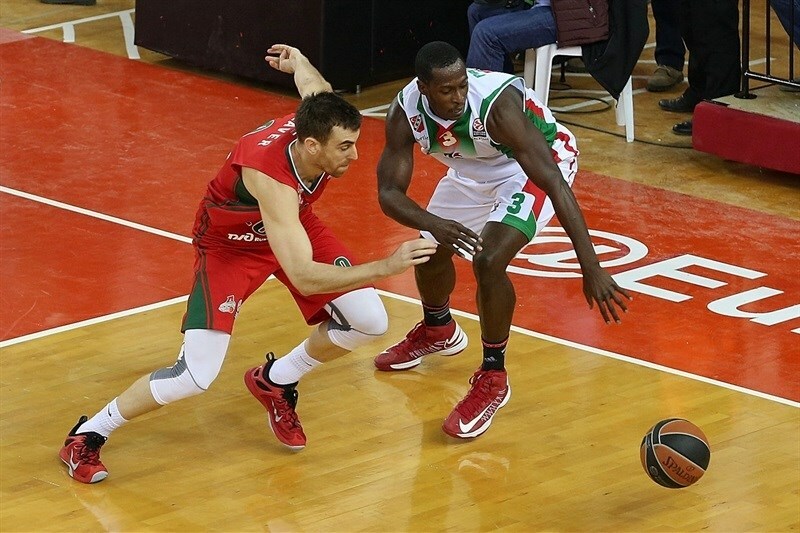 Karsiyaka got within 57-70 after 30 minutes and even closer, 63-71, early in the fourth quarter but Broekhof hit a three-pointer, and another, and another one to seal the outcome, 63-80, long before the final buzzer. First quarter: A storm of three-pointers! Lokomotiv missed 4 shots in the opening four minutes and Palacios got Karsiyaka going with back-to-back mid-range jumpers for a 4-0 lead. Broekhoff hit a three-pointer in transition to get the visitors going, but Gabriel ignited the crowd with an alley-oop dunk. A coast-to-coast layup by Claver brought Lokomotiv within 6-5. Gabriel kept pushing the hosts with a power basket, which Fesenko erased with a layup. A corner triple by Claver gave Lokomotiv its first lead, 8-10. After Broekhoff took over with a fast break layup, Palacios scored down low. A tip-in by Fesenko restored a 10-14 Lokomotiv edge. Broekhoff buried his second three-pointer and Delaney also nailed one from downtown in transition to make it a double-digit game, 10-20. Justin Carter, Voronov, Josh Carter and Gabriel joined the three-point shootout to make it 19-23 score. Voronov downed a six-meter jumper and a fast break dunk by Singleton boosted the hosts' lead to 8. Josh Carter sank another triple to fix the score at 22-27 after 10 minutes. Kerem Gonlum made free throws early in the quarter and a three-pointer by Justin Carter tied it at 27-27. Broekhoff split free throws and a put-back layup by Sergey Bykov gave Lokomotiv some fresh air at 27-30. 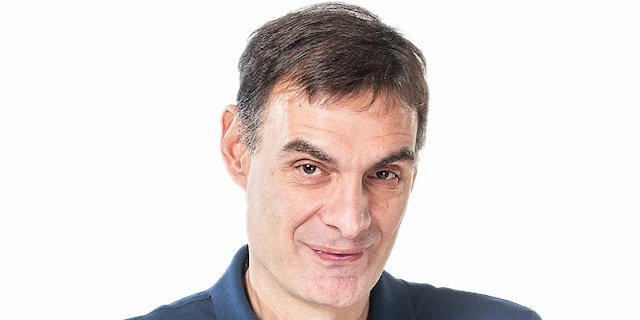 Gabriel swished a mid-range jumper, which Andrey Zubkov erased with a jump hook. 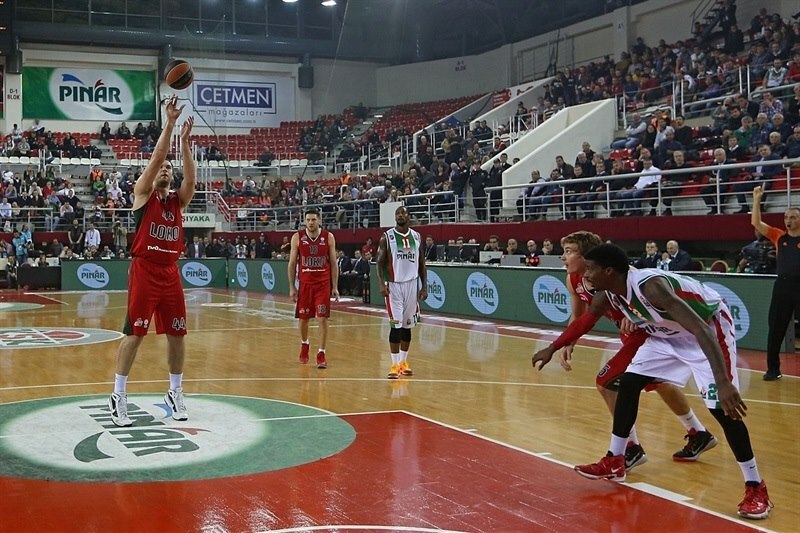 Singleton hit a three-pointer from the top of the key and a put-back slam by Justin Carter brought Karsiyaka within 4. Justin Carter shined with another tip-in to make it 33-35, but free throws by Delaney boosted the guests' lead. Sonen Senturk banked in a three-pointer, but Voronov quickly answered from downtown. 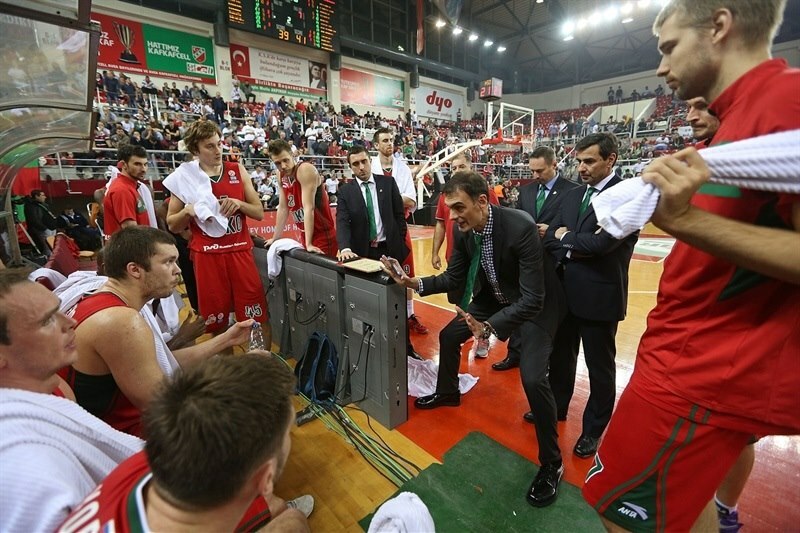 Gonlum kept Karsiyaka close at 39-40. 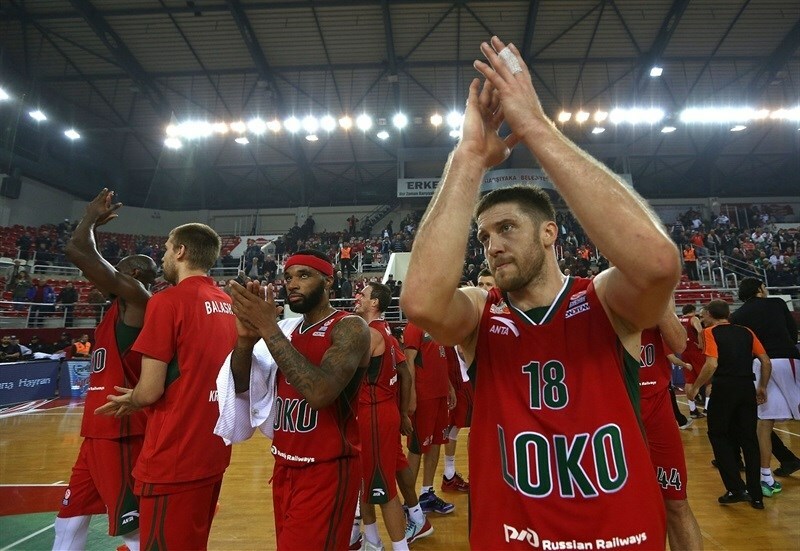 Fesenko split free throws and another three-pointer by Singleton gave Lokomotiv a 5-point lead. After Justin Carter split foul shots, Broekhoff downed a wide open triple, but Gabriel answered from downtown. Singleton insisted from beyond the arc to give the guests a 43-50 edge at halftime. Claver provided a highlight with a wild up-and-under basket in the low post right after the break. Gabriel answered from downtown and a layup by Palacios got Karsiyaka closer, 48-52. Voronov stepped up with a three-pointer from the left wing, which Fesenko followed with a layup-plus-foul to keep Lokomotiv out of trouble. 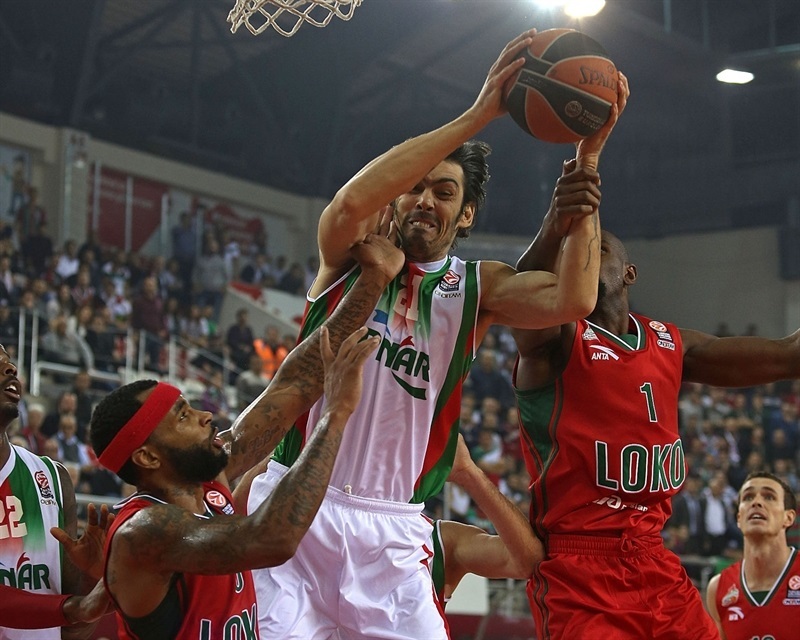 Karsiyaka kept missing shots and Lokomotiv controlled the tempo through Delaney. He found Broekhoff for another corner triple and fed Voronov for a three-point play that broke the game open at 48-64. Fesenko split free throws to cap a 0-13 run. Kenan Sipahi answered with a quick basket. 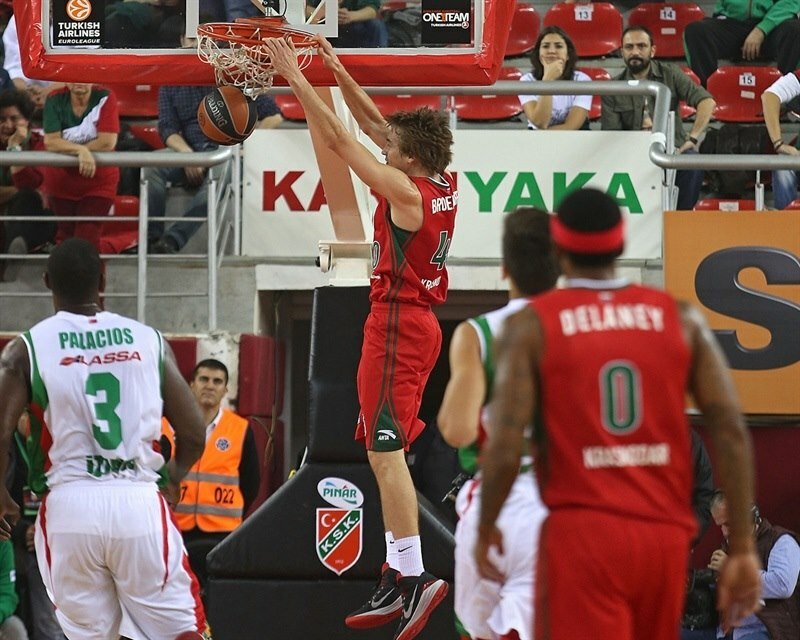 Fesenko dunked off a spin move, but Muhammed Baygul took over with consecutive layups to keep Karsiyaka within 54-67. Justin Carter and Zubkov split free throws and a layup by Delaney restored a 15-point advantage. Justin Carter downed a mid-range jumper off the dribble to make it 57-70 after three quarters. Both teams struggled to score early in the quarter until Bykov hit a free throw. 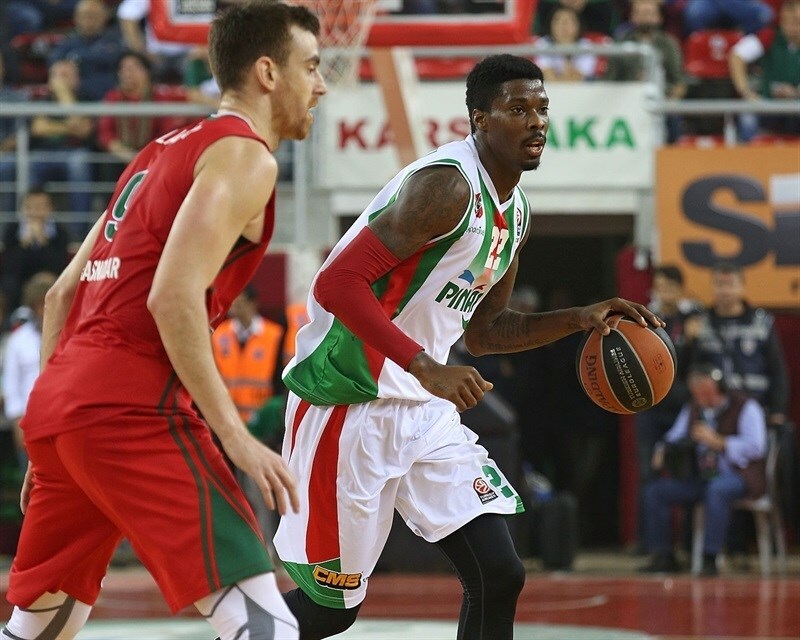 Josh Carter brought the crowd to their feet with a four-point play that gave Karsiyaka hope at 61-71. Justin Carter shined with a coast-to-coast layup that Broekhoff bettered with another three-pointer. Broekhoff struck twice from downtown to seal the outcome at 63-80. 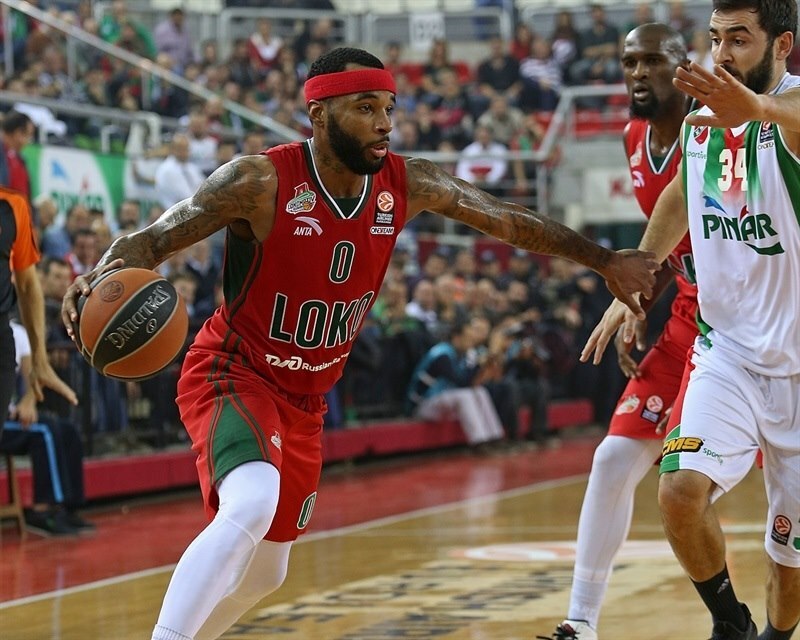 Josh Carter hit a triple off a Karsiyaka timeout, but Broekhoff scored again and Fesenko dunked for a 66-84 Lokomotiv advantage. Justin Carter buried another three-pointer, but a put-back slam by Fesenko allowed Lokomotiv to seal the outcome long before the final buzzer. "It was a tough game. They are very tough team. We did our best today. We had so many mistakes in defence. They had a very good shooting percentage. We had some missing players. Colton [Iverson] was injured yesterday. We did our best." "The key was our unselfish game, as always. Even though we didn't have Dontaye Draper due to a small problem, Malcolm Delaney did an excellent job sharing the ball with the other guys and of course, Broekhoff did an excellent job shooting. Generally, it wasn't such a crucial game, but we always want to win." "We just needed to get a win. We had lost our two last games, so we just needed to get back on track and get our season back on a roll. I was lucky enough that my threes were falling tonight and my teammates were really finding me in good spots."